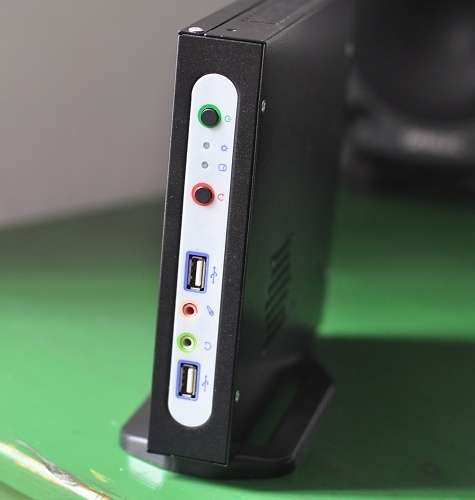 Time for another Aleutia low power PC, this time the Aleutia T1, which is a 1.6GHz processor, with a maximum of 2GB RAM, DVI and HDMI support with a maximum power consumption of just 14 Watts, with an idle power consumption of just 10 Watts. The processor is a single core integrated Intel Atom N270 with 533MHz FSB and 512KB L2 Cache, which is passively cooled using a heatsink and a small case. The T1 comes with Kingston 2048MB DDR2 SODIMM 533MHz, Realtek ALC622 Intel HD Audio support, and support for a Compact Flash hard drive, an SSD Hard Drive or a standard 2.5″ Hard Drive. A 32GB SSD hard drive only costs an extra £90, compared to £30 for a standard 80GB 2.5″ hard drive. Interestingly, this Aleutia PC can play back High Quality YouTube videos and do standard BBC iPlayer video playback. The Aleutia T1 starts at just £171.35, with optional upgrades for RAM, storage, operating system (if you’d consider Windows to be an upgrade from Linux! ), and Wifi.